The Huawei Honor 9 is a phone that comes with a nice balance of top-notch specs at a pocket friendly price. It’s a mid-range phone that can give the high-end phones a run for its money. 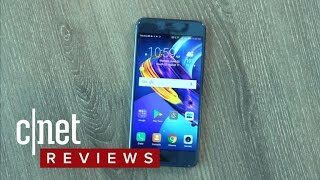 There is nothing surprising to look forward to but it’s the Huawei Honor 9 Dubai price and what you get for the price that makes it worth checking out. To find out more about this phone, keep reading. As a lot of phones are going bezel-less, it can be disappointing to see phones with fat bezels. The Huawei Honor 9’s display includes fat bezels but it’s a stylish looking phone none the less. It’s the shiny glass back of the phone that will definitely grab your attention. The front part looks just like any other phone and the fingerprint sensor is placed at the bottom of the display. The 5.15-inch display shows 1920 x 1080 pixels resolution and 428ppi of pixel density. It’s a slightly heavy phone at 155g and is about 7.5mm thick. There are multiple unique colors to choose from: Robin Egg Blue Sapphire Blue, Blue Bird, Glacier Grey, Midnight Black and Gold. There is also the Huawei P10 that you can check out which is slightly more expensive compared to the Huawei Honor 9 Dubai price. Huawei is one of the smart phone makers to go for dual cameras and this mid-range phone comes with dual rear cameras as well. One of the cameras is a 20-megapixel one and the other one is a 12-megapixel camera. Surprisingly the rear camera doesn’t include Optical Image Stabilization which is one of the key features to look for if you intend to capture videos with this phone every now and then. However, it is capable of capturing 4k videos at 30fps. The front camera is also a good 8-megapixel one. For those of you who are after a good camera phone, there is the Samsung Galaxy S8 and iPhone 7 Plus you can check out. Things are looking good under the hood, a HiSilicon Kirin 960 octa-core processor paired with an optional 4 or 6GB of RAM depending on the version you choose. There are also two storage options to choose from: 64GB and 128GB built-in storage. To make sure users don’t run out of battery easily, there is a 3200mAh Li-Po battery with fast charging technology which can recharge 40% of the battery in just 30 minutes. All the other necessary connectivity options are there as well including GPS, NFC, IR, Bluetooth 4.2 and Wi-Fi. There is the Asus Zenfone Max 2016 and Lenovo Vibe P1 if it’s just a phone with big battery you are after. 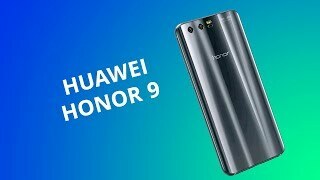 The Huawei Honor 9 is available for about AED 1800 at the moment. 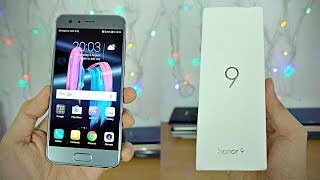 The honor 9 Mobile Phone is manufactured by Huawei and was added around September 2018 and is part of the Huawei Honor 9 series. This version of the Mobile Phone comes in Color : Black , Capacity : 128 GB , Processor Speed GHZ : 1.7 GHZ , Band : LTE , Display Size : 5.15 Inch , Sim Cards Slots : Dual Sim , Special Features : Touch Screen , Special Features : NFC , Device RAM : 6 GB. The model comes in 24 other variations including combination of LTE Band , 128 GB, 64 GB Capacity , Black, Blue, Grey, Gold, Red Color , 6 GB, 4 GB Device RAM , 5.15 Inch, 5.5 Inch, 5.2 Inch Display Size , 1.7 GHZ, 2.5 GHZ Processor Speed GHZ , Dual Sim, Single Sim Cards Slots , NFC, Touch Screen, External Memory Card Special Features. The best price for the Huawei Honor 9 in Dubai, UAE is AED 1525 sold at A2Z Digital Mart and available with free shipping and delivery within Delivery in 1-2 days. By comparing prices and buying from the cheapest store you can save up to 10% or AED 175. 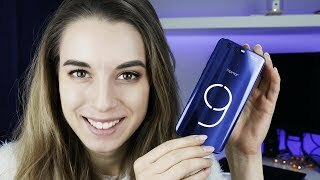 Huawei Honor 9 Review - BEST mid-range smartphone?! Price has decreased 15% from AED 1799 on 2018-05-20 to AED 1525 today.